This is our collection of designs based on The Netherlands, also called Holland and home of the Dutch people. 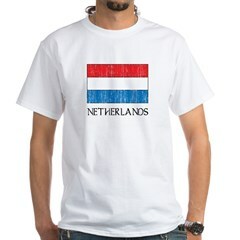 These unique Holland T-Shirts and Dutch souvenirs are a great way to remember your trip to the Netherlands or to show your Dutch pride! Photographs of beautiful flowers taken in the Dutch springtime. Enjoy the beauty of the Netherlands' tulips and flowers all year long! 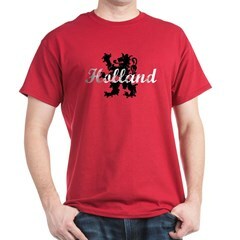 This Holland design features an orange lion from the Netherlands coat of arms. Great gifts here for fans of this great country. A wooden shoe, a windmill and a tulip are three well-known symbols of the Netherlands. 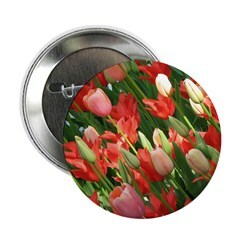 In Dutch they are called klompen (or one klomp), molens and tulpen (or one tulp). Here they are stylized in the colors of the Netherlands flag for our souvenir design. The windmill is a well-known symbol of the flat country of the Netherlands. In Dutch they are called molens. The wooden shoe is a well-known symbol of the Netherlands. In Dutch they are called klompen (one klomp). The tulip is a well-known symbol of the Netherlands. In Dutch they are called tulpen (one tulp). A beautiful Netherlands coat of arms design. 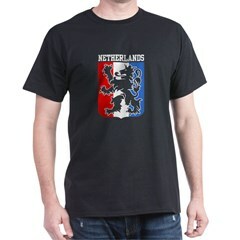 Great for fans of the Netherlands or anyone of Dutch heritage. Proud to be Dutch, or do you just love the Netherlands? This red-white-blue flag is for anyone who can't get enough of this small low country. Netherlands flag gift items and novelties for Dutch people, those of Dutch heritage, or fans of Holland. Support the Dutch team with this great Netherlands logo design. Great for soccer / football / voetbal fans! A classy text design reading Haarlem Netherlands. The original Haarlem in in Europe, did you know? Great for anyone who has visited Haarlem or who is from there! 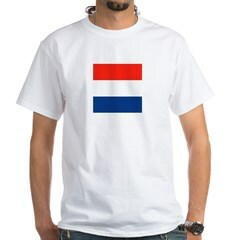 This design features the Dutch flag with text NETHERLANDS underneath. The design is faded for a great vintage look. 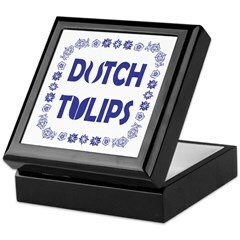 A great gift idea for anyone of Dutch heritage or who loves the Netherlands! 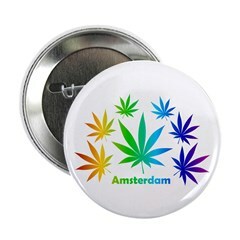 A stylized marijuana pot leaf in a green circle features on this souvenir Amsterdam Holland design. The iconic marijuana leaf is a familiar sight in the Netherlands, where using pot is not a crime. Marijuana leaves in a circular pattern in groovy rainbow colors feature in this Amsterdam design. The iconic pot leaf is a familiar sight in the Netherlands, where using pot is not a crime. Home Grown text accompanies a pot leaf marijuana image in this classic hippie design. A pot-themed gift idea for pro-marijuana enthusiasts. It's home grown if you grow it at home!